The popularity of DNA testing is widespread, but what, if anything can our DNA tell us about the food we should eat and the exercises we should do? Understanding nutrigenomics — the scientific study of the interaction of nutrition and genes, especially with regard to the prevention or treatment of disease — may provide some answers. I follow up my interview with Courtney by providing additional insight from registered dietitian Mary Purdy of Mary’s Nutrition Show on the importance of seeking out the support of a dietitian to interpret nutrigenomics results and provide recommendations on potential lifestyle and nutrition changes to be made. Closing out the show via the Odds & Ends ending of the show I’m sharing my experience with ThredUp’s “goody box” that was discussed in The Online Clothing Consignment Episode. While the ordering and receiving process was seamless, the shipping/returns process was not and resulted in my account being charged for hundreds of dollars of clothing that I did not keep from the goody box. I share details of ThredUp eventually crediting me for that clothing, but summarize that for me this service isn’t worth the risk. This week’s episode of This Unmillennial Life is sponsored by The Soyfoods Council in celebration of Soyfoods Awareness Month. 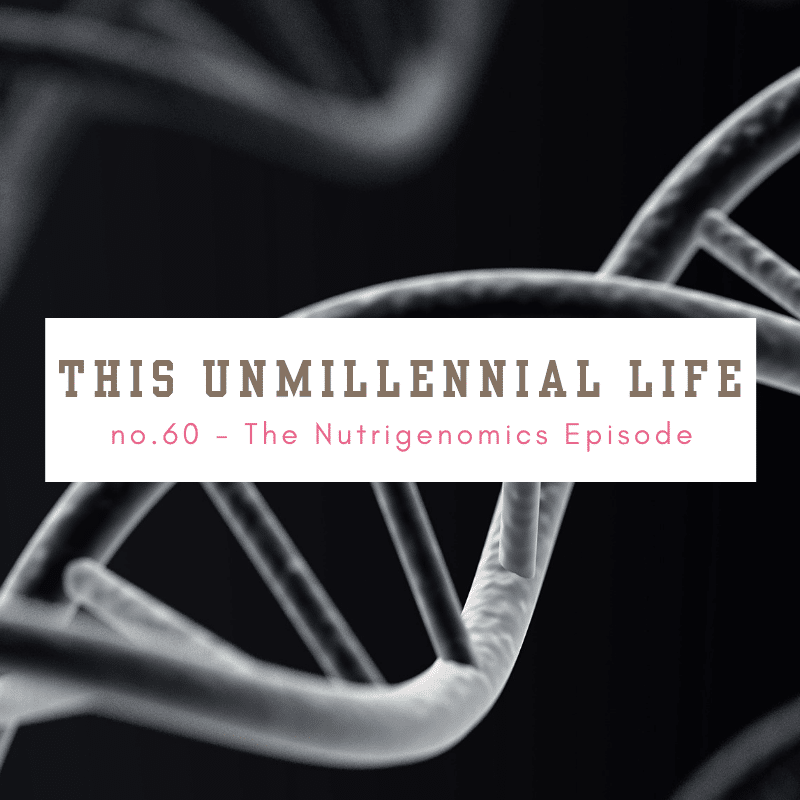 This Unmillennial Life is available each week via iTunes, NPROne, Libsyn, iHeartRadio, Spotify and coming soon, Podcasts on Pandora. Each full-length show is also now available via ReganJonesRD on Facebook making it easier than ever to share with a friend.